Our woolly mucker this month is Barb Mercer, aka Cbmercer on Ravelry. Barb lives in Calgary, Alberta, Canada and later in the show she tells us about her favourite local yarn. Currently she is knitting a Bousta beanie (though she calls it a toque, cos she’s Canadian!) in J&S and has been exploring the Salish knitting tradition of the Cowichan people, of southeastern Vancouver Island, British Columbia! Thank you, Barb, so much for supporting our show. Thanks so much for your enthusiasm for the Good Intentions Club, both on social media and in the ravelry group. I posted last week on the blog too, if you need more info. It is so great to see in that chat thread that folks are diving into their stashes and making plans to knit those good intentions we once had when we bought that yarn for that particular design! I’m not sure if the forthcoming release of A Stash of One’s Own, was at the back of my mind when I was talking about our attitudes to stash last episode, but it was well timed. A Stash of One’s Own; Knitters on Loving, Living With and Letting Go of Yarn, was released last week. 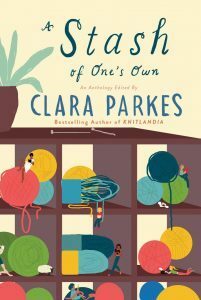 This anthology was created and edited by Clara Parkes, with over 20 contributors from the woolly world – many of the designers and yarn purveyors herein may be cause of some of your stash, I’ll bet! How do you explain “stash” to the unknitiated? How do you regard your stash? And is “stash” a word that jars with you anyway? This book goes into all of these questions and so much more. Clara Parkes, When It’s Gone, It’s Gone. In this lovely hardback book (with the deckled edge pages that I love so in Clara’s books) we have wildly varying notions of stash; from bins of stash that are labelled “work” (and the juggling act of that and the personal stash! ), minimalist or zero stash (YEP! ), to dealing with stash-anxiety. Stash is a feminist issue, and it illustrates body positivity. Stash sparks joy and stash brings sadness. I punched the air reading Debbie Stoller and Lilith Green’s pieces; I cackled with Ann Shayne telling Marie Kondo – “OF COURSE IT SPARKS JOY: IT’S YARN!” Franklin Habit, Amy Hertzog, Rachael Herron, Aimee Osbourn-Gille are just some of the contributors with whom I shared a tear as they tackle stash in connection to sadness, grief or the bittersweet. Wool is full of textures. Wool absorbs. It can mean something to one person and it can mean varying things to another. Wool can take on meaning as time goes by and it can absorb meaning and connections from other people, places and things. It’s many textures and connections can surprise us! It can make us happy and bring us calm, in the same way that it can overwhelm or cause sadness. What all of these things mean, and so much more, are twisted into the hank that is this book! A Stash Of One’s Own is out now from Abrams. It costs £16.99. Thank you to Net Galley/Abrams who gave me a preview of this book, in exchange for an honest review. | Happy Shetland Wool Week! 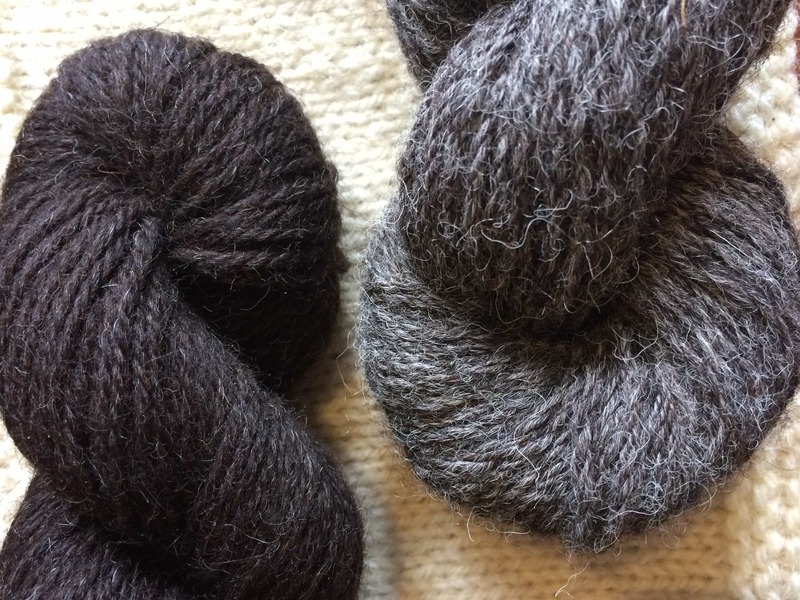 There are two things that I make you a promise to review in full soon, but as it is Shetland Wool Week, I want to mention them here and give you their details. 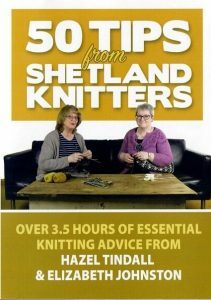 Firstly, Hazel Tindall and Elizabeth Johnston have released a DVD or download – 50 Tips from Shetland Knitters (I have a horrid feeling I say 50 Tips for Shetland Knitters in the audio, sorry if I do). 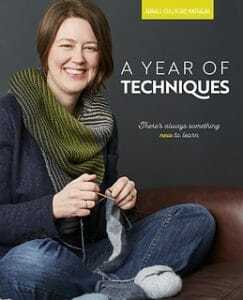 This is an essential piece of kit for all knitters; their content covers casting on, how to hold your needles, increases and decreases, seaming and grafting, colour dominance, finishing, blocking and fixing mistakes…and SO much more. This DVD is like taking a masterclass from these lovely, funny, warm and very talented ladies. Online stockists include The Shetland Museum, The Shetland Times Bookshop, and Jamieson & Smith and I’m sure they will have them in the bricks and mortar places at wool week, if you are fast! The DVD price is £25. I promised you a peep at this yarn last time and a peep you shall have, with a promise for a full review soon. Donna has launched her own yarny venture, creating 100% Shetland DK wool, from Burra Isle. Donna sorted the fleece by hand and it went off to the Natural Fibre Co to be spun. There are four shades; a natural white and then 3 complimentary shades where the coloured fleeces have been blended with the white. Langsoond will go on sale at Shetland Wool Week, at the Makers Market on Satruday 30th, at Islesburgh. It will go on sale online (if there is any left!) soon after. This is a very special wool. Like I was saying earlier about wool and connections…this one has very strong ties to place that I feel very keenly. This episode our woolly mucker Barb writes in with her answer to our woolly mucker questionnaire. The questions are; What was the first thing you remember knitting and the last thing you cast off? Which yarn and pattern (not necessarily used together) would you want to pass on for others to try and why are they so special? Barb starts off by telling us of childhood holidays in remote Northern Ontario, where her love of craft was most probably honed first, knitting doll clothes and learning to sew on a treadle machine. Barb tells us about her favourite local wool, Custom Woollen Mills, in Alberta and she want us all to know about the Semi Precious Collection, by Maria Naslund. 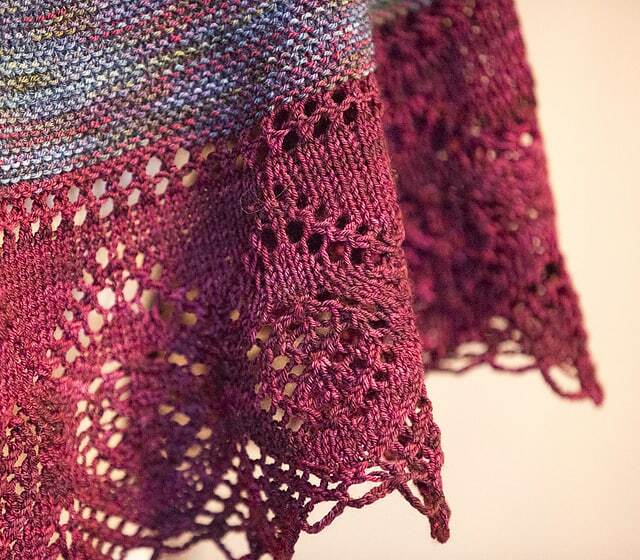 Look at this detail in the Morion shawl, that Barb knitted from it. Barb, it was wonderful to share your answers and learn more about you. Thank you, from the bottom of my heart, for supporting the show. | A Year of Techniques is out in print! I was so delighted when a review copy of this popped through the door. This is the full printed version of the monthly pattern club from Arnall-Culliford Knitwear, which has brought us great patterns, by talented designers, since the spring; each featuring stonking new tips and techniques. We’ve had helical stripes; intarsia; pinhole cast on, with the very sweet Alex Mouse, by Ella Austen; there were knit on edges; heels in the awesome Antirrhinum socks by Coop Knits and provisional cast on in Tin Can Knits Little Tern Blanket. The published book brings us more delicious designs and adds more strings to our knitting bows with garter grafting – Martina Behm’s Wood Warbler cowl, which Jen wears on the cover; short row shaping with Woolly Wormhead’s Rushia hat; understanding cable charts with Sarah Hatton’s Yellow Wagtail scarf; afterthought heels and thumbs; dominance in Fair Isle with Ella Gordon and her Shaila mitts and steeks in Mary Jane Mucklestone’s Oorik vest. What I love about this book – and the whole project – is that a) there is so much to learn and enjoy learning and b) all of that enjoyment is made so easy for you with incredible layout, easy to follow instructions and clear language and images. 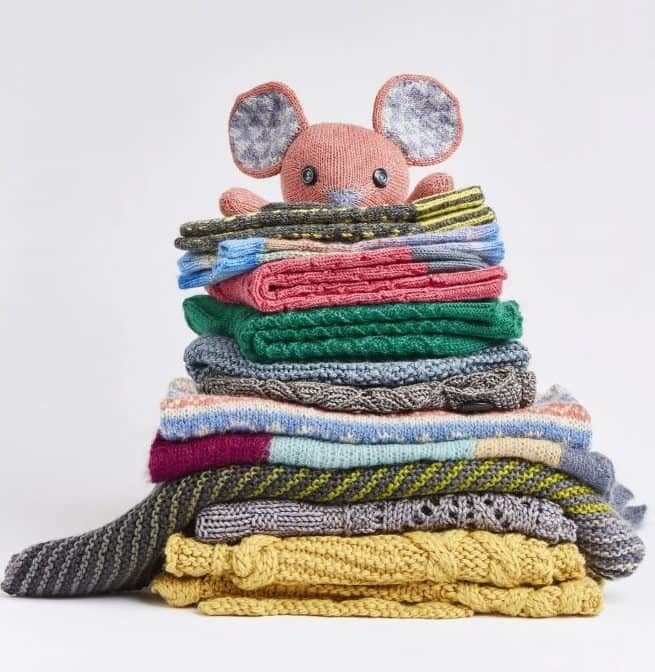 To add to this there has been a monthly KAL over in the AC Knitwear Rav group – so there is community support – and there are online tutorials too. This is a beautiful book, full of designs by talented and creative people, who’ve created these designs to help us learn and keep our craft finely honed. Even if you think you know all these techniques, I bet you will still find something to learn! A Year of Techniques, costs a very great £20. The book is almost A4 size, the paper is really great quality and the images are really sharp (these things really matter in books we will treasure, y’know!) You can buy it right now at Arnall Culliford Knitwear and knit yourself through the winter, learning as you go! Thanks Jen and Jim! I am about to cast on that wood Warbler and learn garter grafting next! There will be a very informal knit, chat, eat and drink day, with a few fun and games! I’ve been looking at venues with good space and good catering (important!) and I’m in the process of getting prices. I’m really keen to keep costs as low as possible for folks. If you can be in Edinburgh on this day and want to join us, the only way is to fill in this wee form with a few details. Once I make a booking and know the cost, I will email those on this list with details of how to book. If anyone changes their mind I will then post about the event in the ravelry group. I should stress that this really will be a modest event. 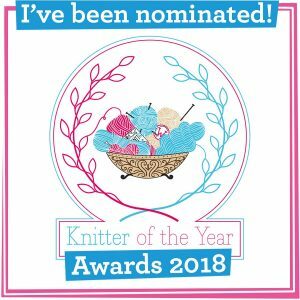 I am organising this in my spare time and mostly I just want to spend a nice day knitting and chatting with you muckers. So do fill in that form, if you are interested in attending, as places may also be limited. I am really excited! I am sorry though if you feel disappointed that you can’t come. One day there may be a big ol KB retreat, but right now it’s small and informal and it needs to be in Edinburgh. I will work on ways to share proceedings via webcam. | How do you fit 6 or 7 hours into 45 minutes? I can’t believe I packed so much in again – I am aiming for slightly shorter eps til we go monthly, but that doesn’t look likely! I hope I didn’t sound like I was rattling through this one. I’ve been finding it a real juggling act to bed into the new job AND organise the show. 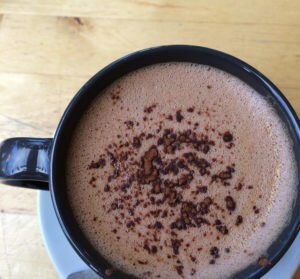 To give you an idea of what I’ve been doing to bring you the 45 mins you just listened to – the week preceding this episode I left the house before 8am, to get a half hour in a cafe writing and planning this episode before I start work at 9am. Those two hours are accompanied by another hour to record and then half an hour each night editing and writing these shownotes. I’ll be very glad to be only producing one show a month from January! I do love doing this podcast – It makes me inordinately happy, but I know it will be hard work til Jan. I’m also drowning a little with review items and content I’m already late with, so do continue to be a bit patient with me, won’t you? Til next time – Happy Knitting! Important Information: Music: Carefree by Kevin McLeod and Singin’ in The Rain (demo) by David Mumford – Both are on FreeMusicArchive and are both shared under Creative Commons Attribution license. Images are copyright to those attributed in the caption or in the accompanying information, otherwise they are mine. I was given a free copy of the products mentioned, (as described in the content an audio) in exchange for a genuine review. Whether I am given or buy products to review, all KnitBritish reviews are 100% honest. Thank you so much for the beautiful things you said about my essay! You truly made my day. Oh my word, thank you! What you wrote keys in SO MUCH to how i feel about wool & stash. Beautiful! I just want to give you a shout out from Australia. I moved from the UK at the end of 2016 after living there for over 10 years. 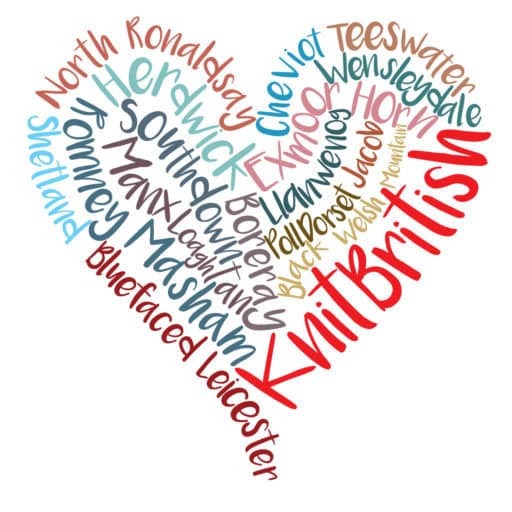 I am missing the UK, the wonderful yarn that is available there, the great knitting scene and all the wonderful knitters I know there. I am really enjoying listening to your podcast. You’re still doing a great job, love the podcast. I hope it gets a bit easier in January. Hello! I am so pleased that I found your podcast…I am catching up on past episodes, and wanted to say how much I am enjoying listening in. Today (Oct 30th) it is stormy in Ottawa (Canada), branches are falling, the roads are flooding and I can’t get out to walk the dog. However, I can listen to your podcasts, and while the power is still on, I can buy yarn! I so admire the work of wool makers like Donna Smith and the folks at Blacker yarns. I can’t wait to make something to combat the on coming winter, from what I’m sure will be wonderful wool! Good luck with the work/podcast/life balance! Thanks again!